Orlando is a hustling and bustling city no matter what time of year a person visits. Day or night, there is traffic flowing through the city which can create issues for companies having corporate events in the area. It doesn’t take a rocket scientist to know that the airport in Orlando is always busy; hence the number of vehicles moving in and out of the airport is incredible. When a national or international is sponsoring an event for their employees, getting the people to and from the airport could surely pose a problem. 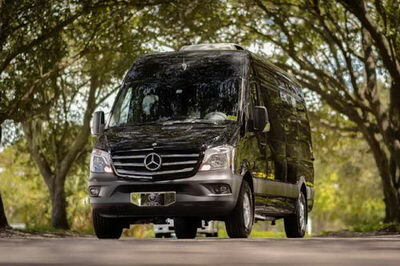 Corporate minibus services in Orlando can be the solution. The professional drivers can pick up a large group of people and provide easy corporate minibus transportation which will result in getting the group from the Orlando airport to the hotel in a quick and timely fashion. Of course, they can get them back to the airport after the event has concluded just as easily and efficiently. Luxury Transportation Group USA provide the highest quality corporate minibus services in Orlando to ensure the attendees get to and from the airport on time every time. Setting up companywide events in Orlando can really be a pain in the neck for the event coordinator. There are so many things to reserve and schedule that it’s enough to make a person’s head spin around and around. Once the hotel and convention venues have been set, the coordinator will need to decide how to get the attendees to and from the venues. Many companies have the people rent cars however; this is never a good thing. Car rental companies can mess up, and lose reservations resulting in not having a vehicle to rent. Corporate minibus transportation for the executives is a better option. Luxury Transportation Group offers professional Orlando corporate transportation services for many national and international clients. Orlando has plenty of spectacular venues for corporate events, as well as tons of things for people to do during their downtime. It would be wise for a company to provide their executives with corporate minibus services in Orlando to get its attendees around this hustling and bustling city. It’s an affordable and reliable means of corporate transportation services. Luxury Transportation Group USA provides reliable luxury corporate minibus transportation throughout the city of Orlando. LTG Orlando is the premiere provider of luxury corporate transportation services in Orlando. With highly professional drivers and a complete fleet of quality vehicles, Luxury Transportation Group USA will ensure the safety and punctuality of a company’s executives. Contact us to reserve the corporate minibus services necessary for your next corporate event.